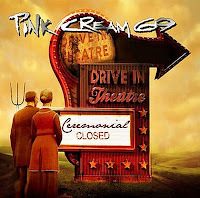 Rock & Metal 4 You: CD-Review: Pink Cream 69 - "Ceremonial"
It took them six long years, but now it's finally there: the new Pink Cream 69 album "Ceremonial". Let's see if it was worth the wait! The German melodic hard rocker exist already for 26 years now and they've always honored their roots - and that's the same on "Ceremonial". There aren't large experiments on here, just all the things you would expect from an album by these guys: melodic driven arena rock. The album kicks off with "Land Of Confusion" - this song is a bit strange. It takes a few times until this one gets stuck in your ear. "Wasted Years" is the first highlight of this album. This one is a real gem - the chorus will stuck in your ears for weeks. "Special" and "The Tide" follow this style and are perfect crafted melodic rock tunes, which are performed on a very high level. In these moments it feels like Pink Cream 69 have never left the scene for so many years. "King For One Day" shows altough that the Germans know how to write a good ballad. David Readman is in top form on each track, but this was to be expected. Speaking about the production I can only say this is a typical Dennis Ward production: everything sounds really clear and tight, but also very polished. After all this praise there are a certain things to complain about: fillers! Yes, "Ceremonial" is far away from being a perfect masterpiece. Some tunes really bored me after hearing them three or four times. So that's the problem here: some tracks wear out very quickly. Maybe this is due to the very save songwriting with lots of same structures. Examples are "Right From Wrong", "Big Machine" or "Superman". In these songs I found nothing that blows me away. 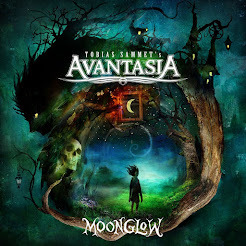 Melodic rock stuff off the shelf. That's a bit sad. I would have liked more songs in the vein of "Wasted Years". On the bands website you can vote for your favorite song. Check it out and look at the score: It confirms what I said above. Under the bottom line this is a solid record with some highlights but also some weak moments. Is "Ceremonial" a recommendation? Yes, but only conditionally and only for die-hard-melodic rock fans, who need new stuff for their player.